There is nothing I don't love about this image. Nothing. 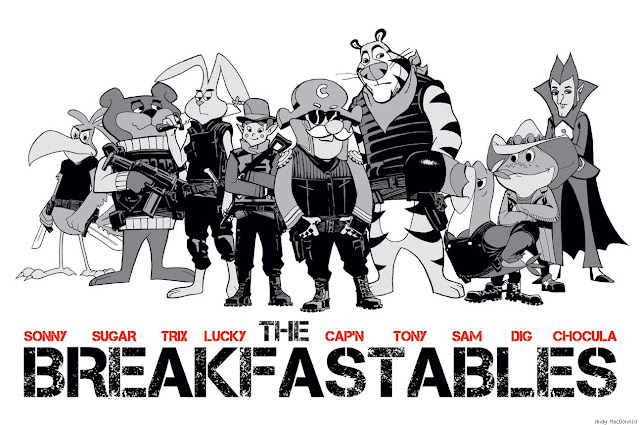 These breakfast cereal mascots were as much a part of my childhood mornings as many of the Expendables actors were part of my teenaged evenings. Are they as washed up? Hard to say, but they don't have the hold on that they once did. Your post is really superb!